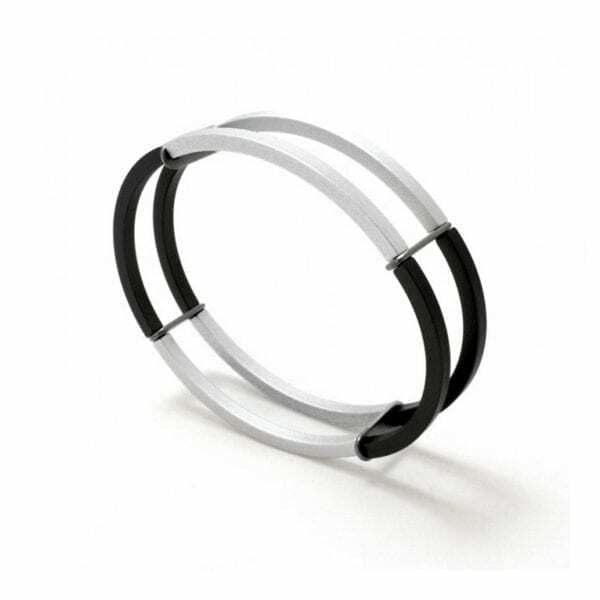 We thought you would like to know has been eyeing up our Black Structured Steel Aluminium Bracelet for some time now and has requested we bring it your attention. What's your question about Black Structured Steel Aluminium Bracelet? 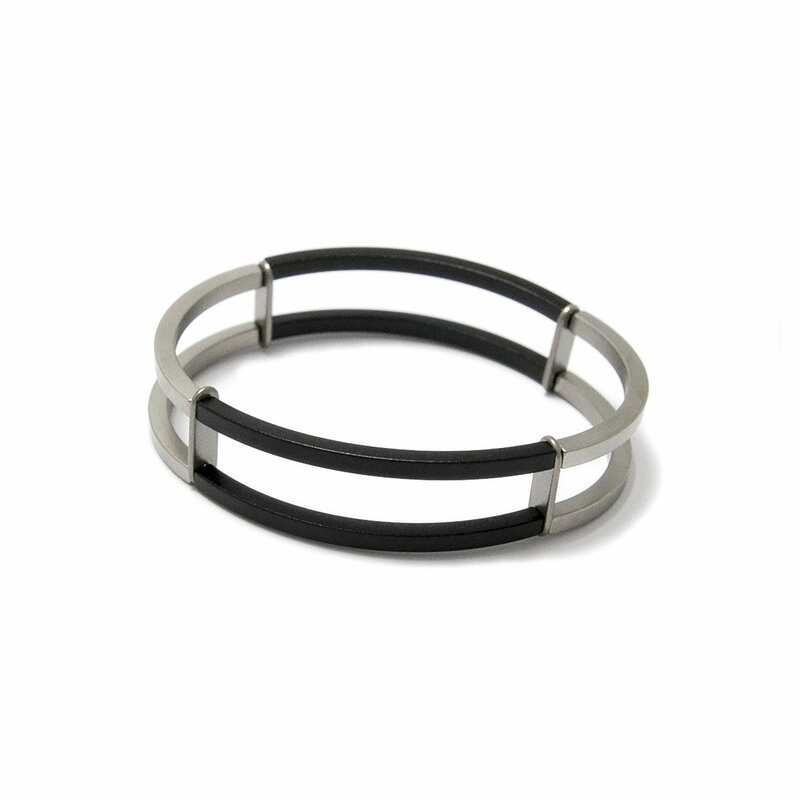 This structured stainless steel black and grey bracelet slids over the wrist and is a great everyday bracelet. Bracelet Diameter: 60mm. 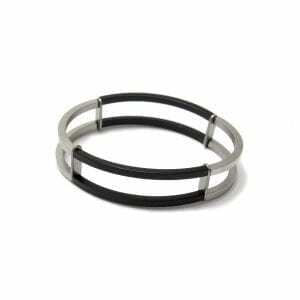 Bracelet Width: 10mm. 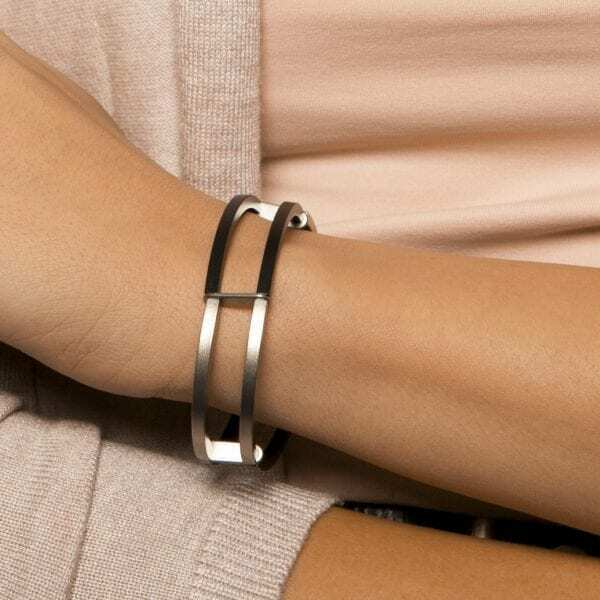 Note: Available in different colours. Matching Necklace and Earrings available.